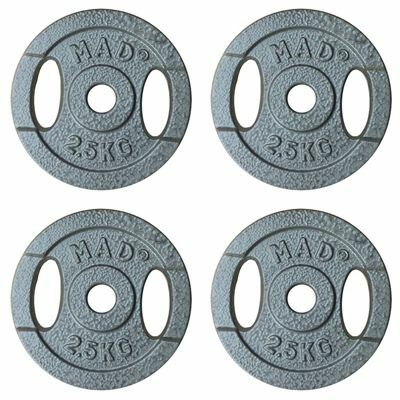 The Fitness Mad standard weight plates are sold as a set of 4 and designed to be used with 1” (25.4mm) bars. Each weight plate weighs 2.5kg (5.5lbs) and features a grey Hammertone finish for added durability. The plates are constructed from cast iron and incorporate double hand holes that ensure easy moving and adding of them. 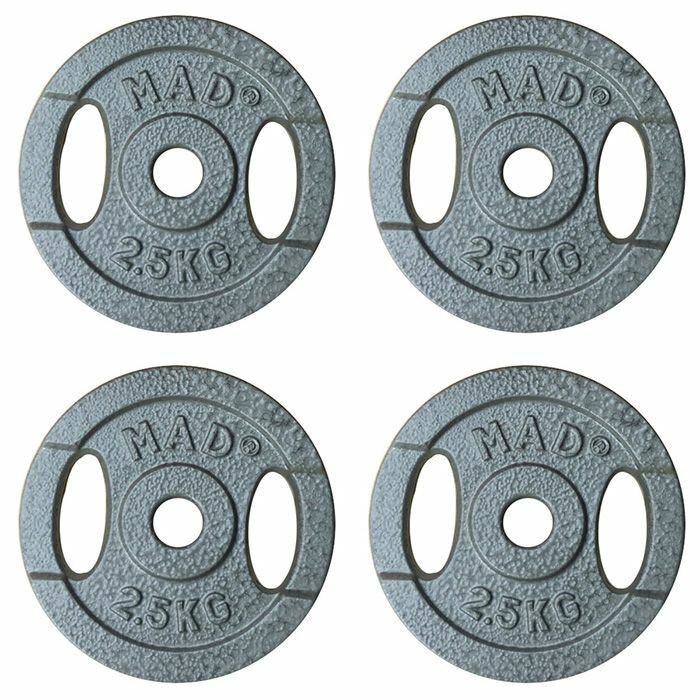 for submitting product review about Fitness Mad 4 x 2.5kg Standard Weight Plates.